So how do you enter the draw? You’re already signed up? Thank you for being part of my writing world – your name will have two entries in Capt G’s hat. There will be more ways to enter on my social media pages as well so feel free to share and tag me and I’ll keep adding your name into the draw each time you do that. If you’d like to leave a review on Goodreads, Amazon or iBooks then your name will go into the hat with a gold star attached and there will be a bonus prize if you’re the winner. You’ve already done that, I hear you say? Excellent! You’ll automatically qualify for a chance at the bonus prize. The competition will run from 20th August to 6 pm Sunday 26th September. Capt G will draw the winner and I’ll publish the winner’s name back here on this post. Blog #PenguinBookAus, art, Giveaway, Penguin Books Australia, Penguin Random House Australia, Photography, Prizes, Return to Roseglen, Roobinesque Photography, sunset print. permalink. This is def a pic for me! Have done a review on iBooks too! Thanks so much, Justine! Appreciate the review!! And I think it would look lovely on Shimma! 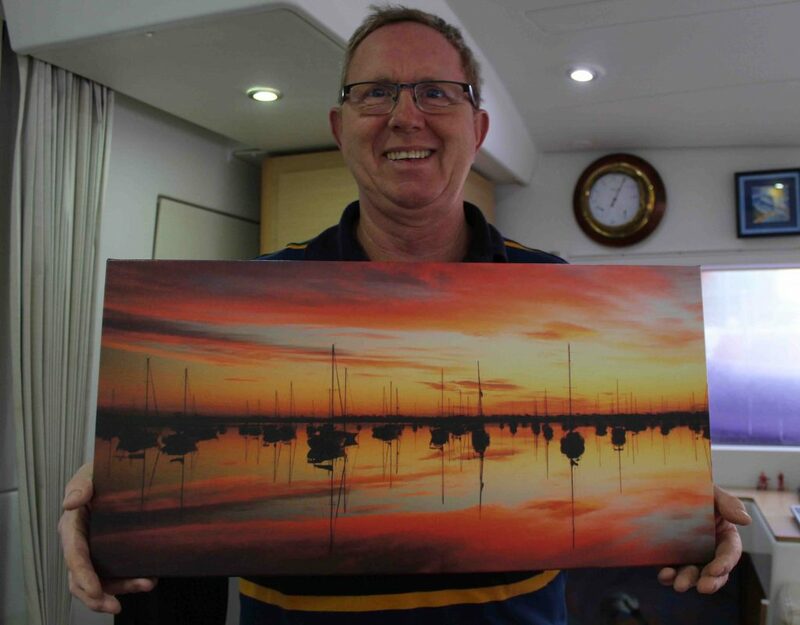 I absolutely love that photo Helene, I have one similiar from Airlie. I am a big sunrise/set addict as well.